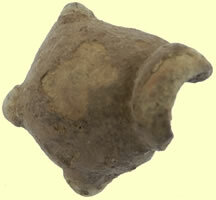 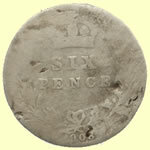 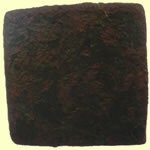 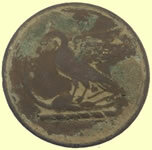 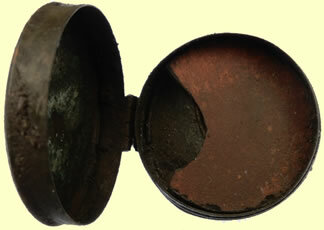 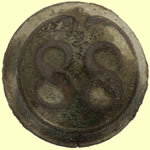 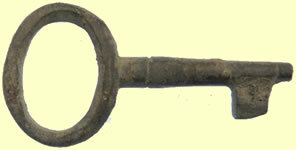 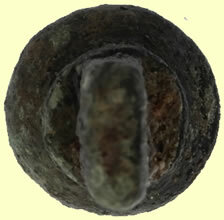 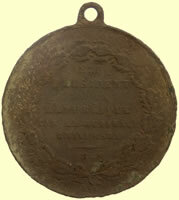 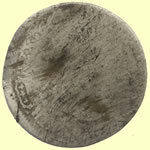 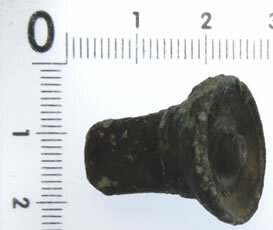 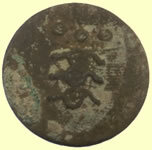 ​​​The East Essex Militia were formed in 1759 and became the Essex Rifles Militia in 1853 during this period they had five styles of known button, this one is not listed yet. 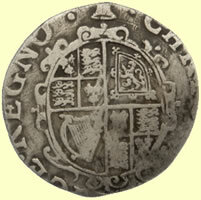 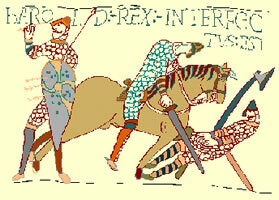 Remaining in Ireland until 1703, the Devonshires then joined John Churchill, the Duke of Marlborough's, army in Holland, where they assisted to capture the fortress of Huy and the city of Limburg, then held by the Spaniards. 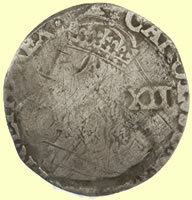 The Regiment's next campaign was in Portugal in 1705, and, after a visit to England, again in 1708. 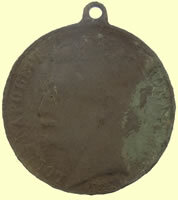 In 1711 the 11th formed part of the unsuccessful expedition against the French in Canada. 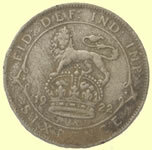 Except in 1715 and 1719, where the 11th gave a good account of itself in Scotland, the Regiment's history is uneventful for some thirty years. In 1719 Spanish troops landed in Ross-shire, and were joined by the Scottish clans of the neighbourhood. The 11th formed part of a small force which, charging with the bayonet, dispersed Spaniards and Highlanders, won the Battle of Glenshiel, and broke the insurrection. 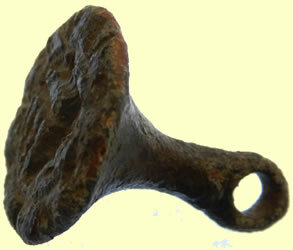 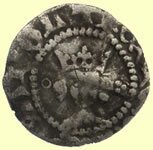 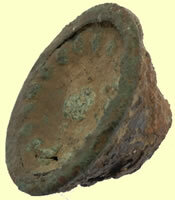 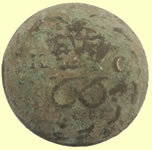 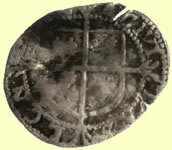 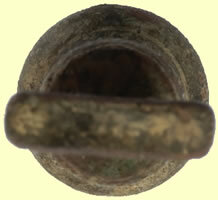 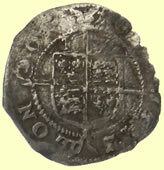 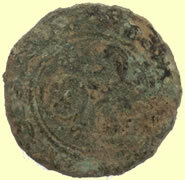 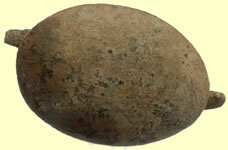 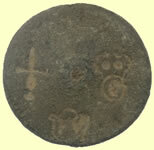 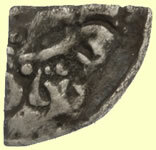 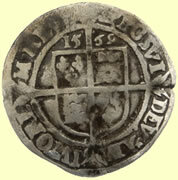 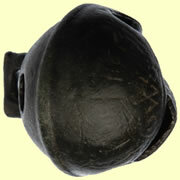 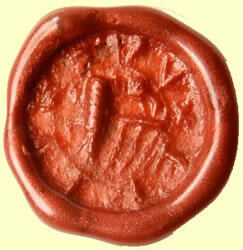 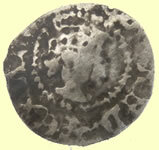 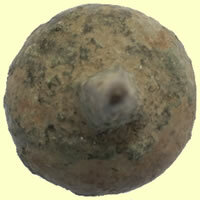 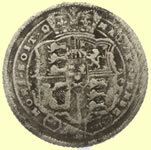 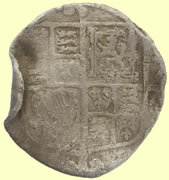 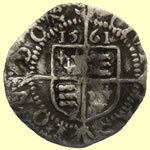 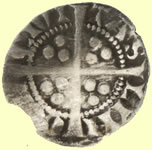 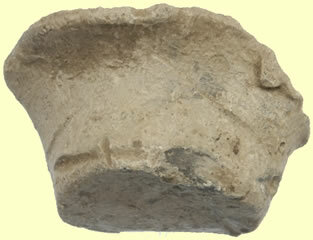 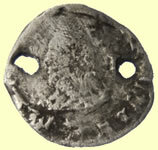 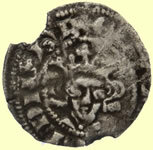 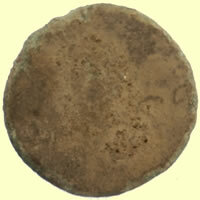 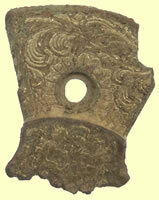 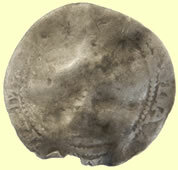 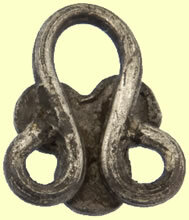 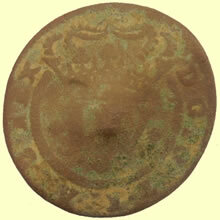 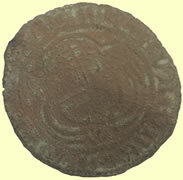 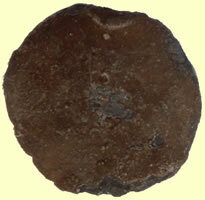 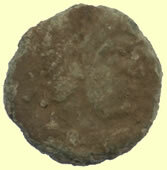 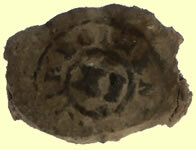 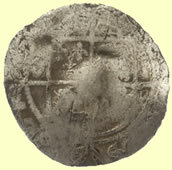 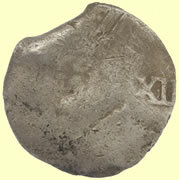 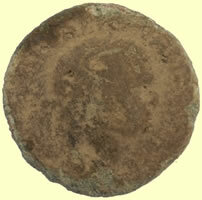 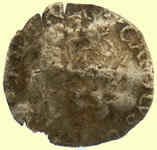 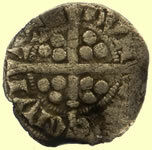 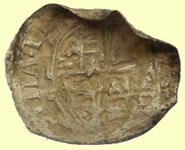 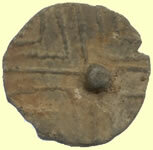 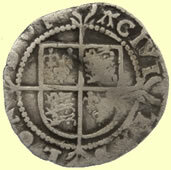 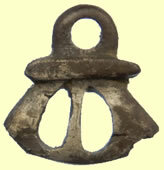 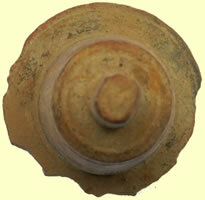 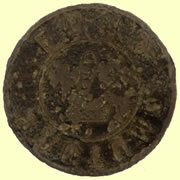 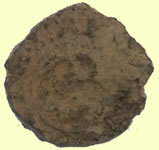 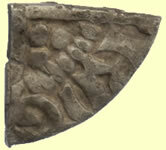 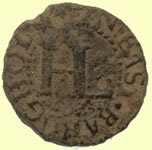 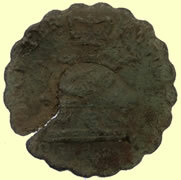 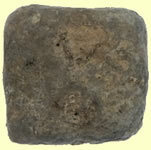 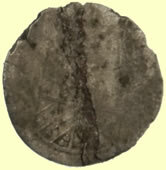 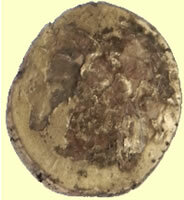 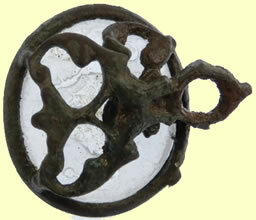 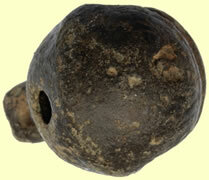 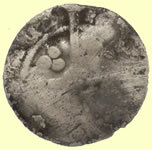 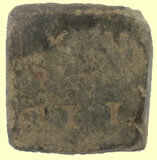 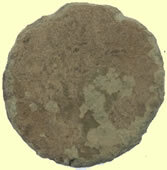 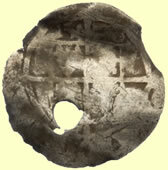 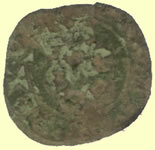 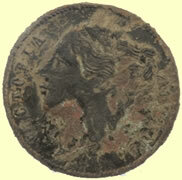 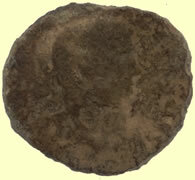 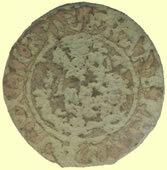 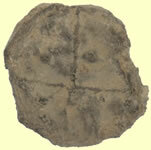 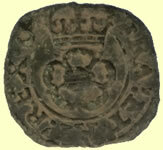 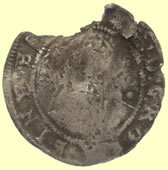 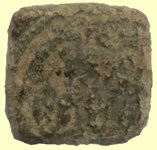 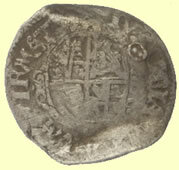 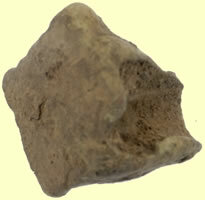 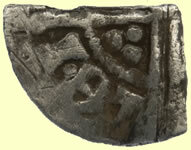 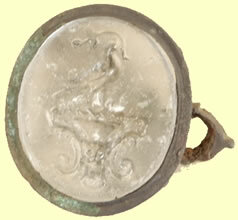 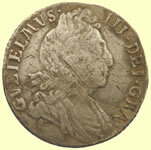 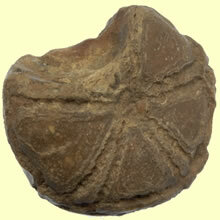 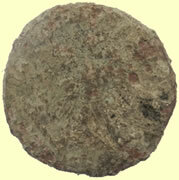 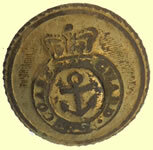 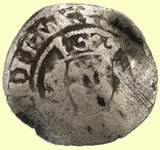 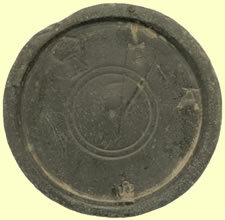 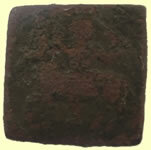 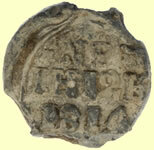 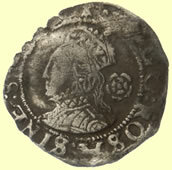 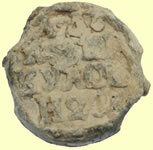 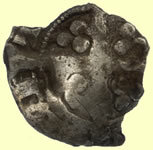 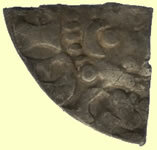 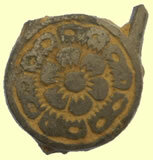 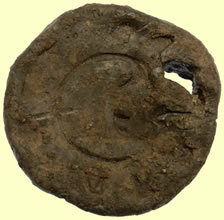 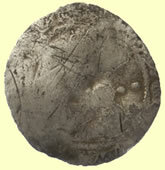 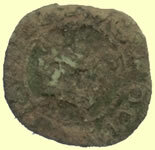 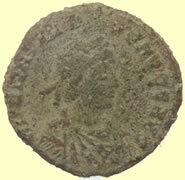 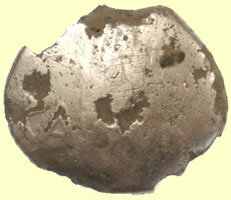 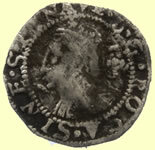 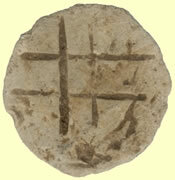 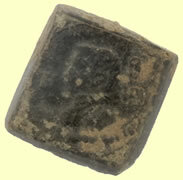 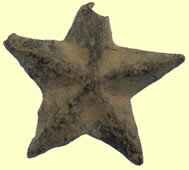 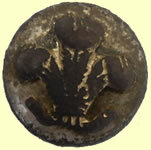 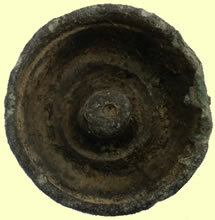 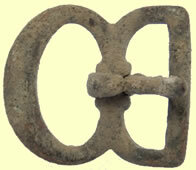 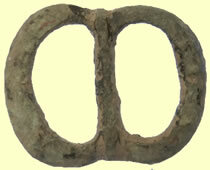 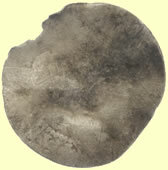 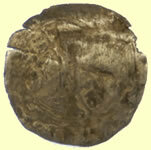 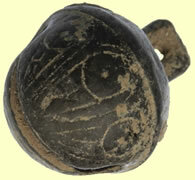 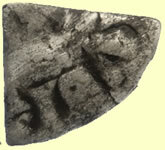 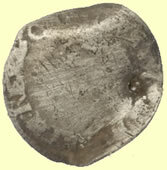 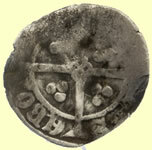 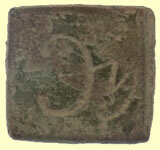 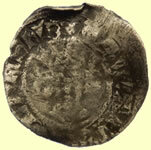 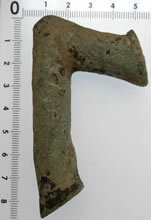 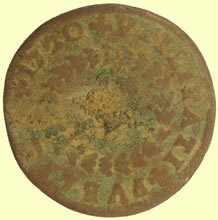 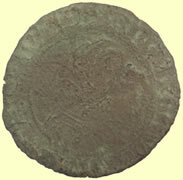 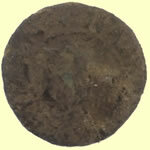 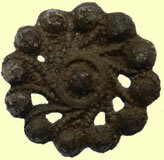 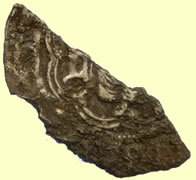 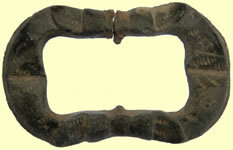 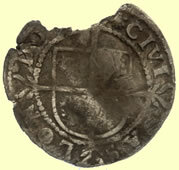 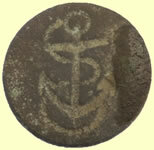 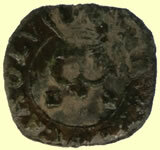 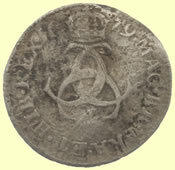 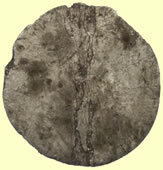 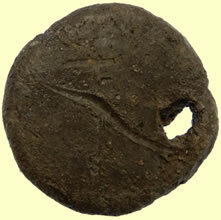 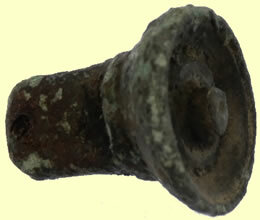 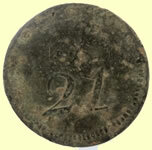 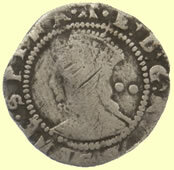 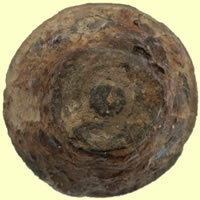 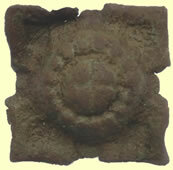 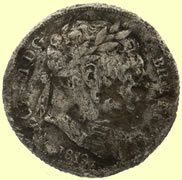 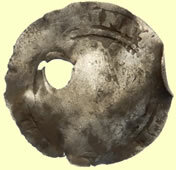 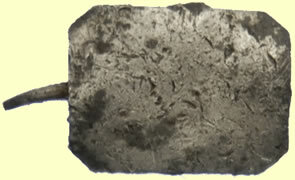 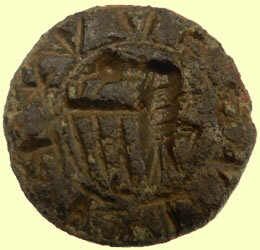 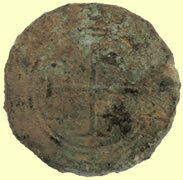 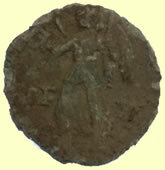 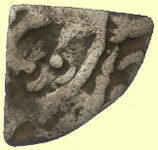 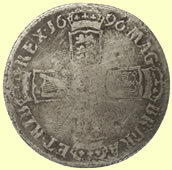 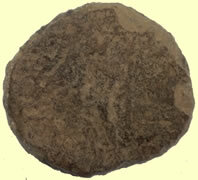 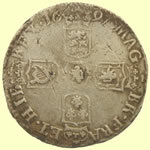 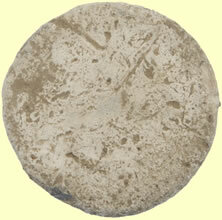 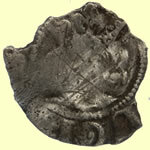 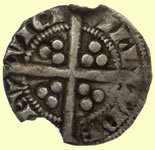 17thC lead token WWII Royal Air Force button 1608 AD Hans Schultes III, looks like 'Turbanded bust' German Jetton. 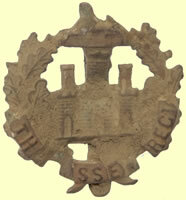 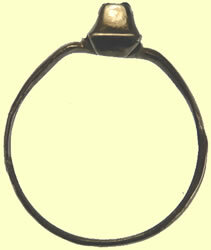 ​An officers example to the 67th who were known as the 67th (South Hampshire) Regt of Foot from 1782-1881. 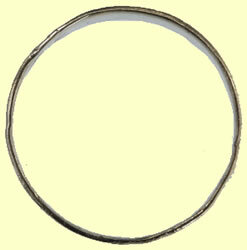 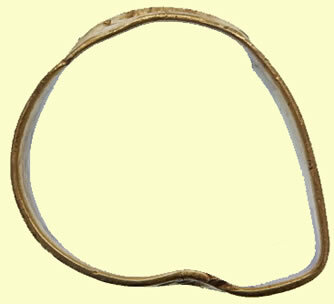 67 within inner strap reading HONI SOIT QUI MAL Y PENSE. 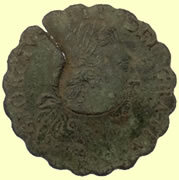 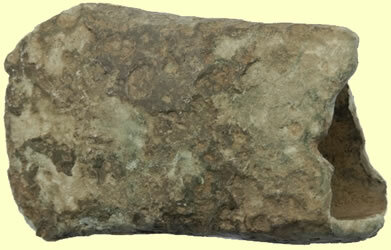 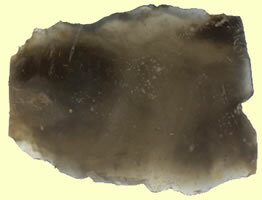 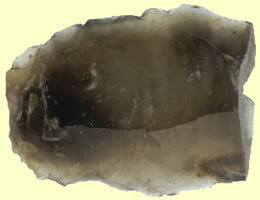 There is a possibility, a bit more distant, that it is Valentinian II and very distantly that it might be Theodosius I or Arcadius, but the first 3 account for probably at least 90+% of the extant specimens from all mints which date mainly to the 2nd half of the 360’s and the 1st half of the 370’s AD. 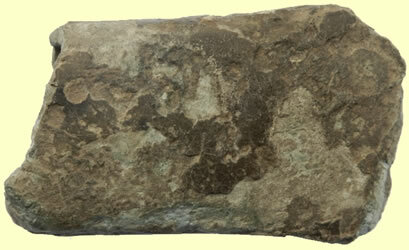 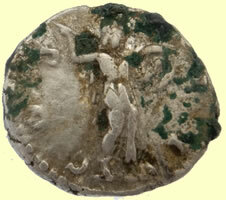 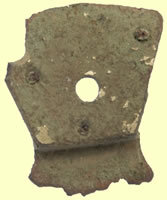 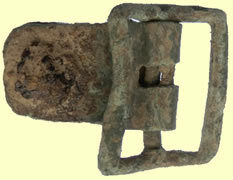 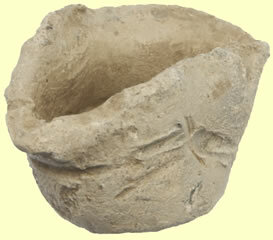 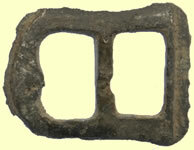 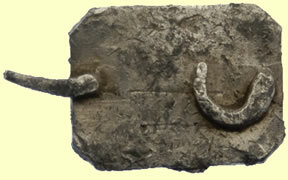 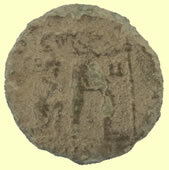 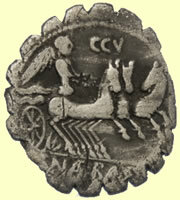 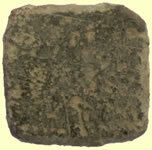 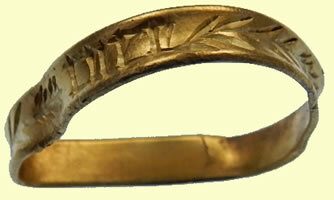 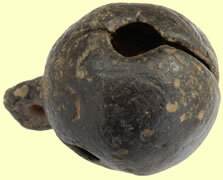 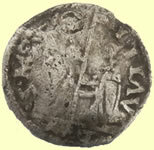 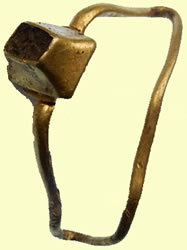 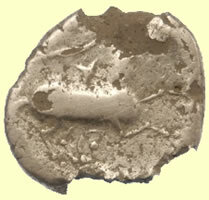 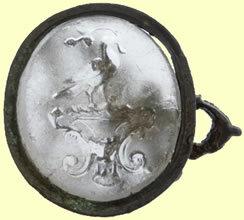 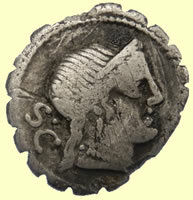 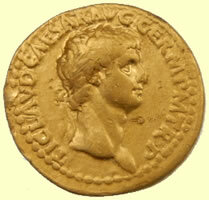 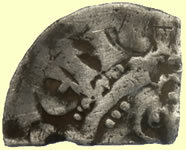 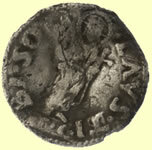 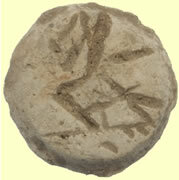 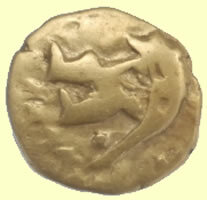 Although this certainly is not a design unique to this series – Victory walking left carrying wreath and palm-branch is on literally hundreds - perhaps thousands – of different coin types from all over the Empire, as well as on many pre-Roman Greek coin types. 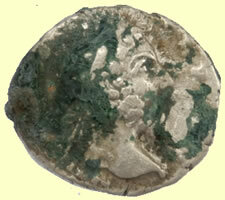 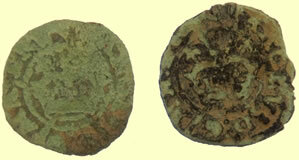 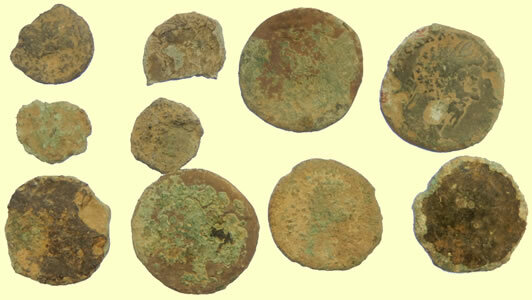 However, given the “F” in the field which is likely indicative of a Western mint as well as the history of the pieces you seem to find regularly, I’d be really surprised if it were not a House of Valentinian centenionalis. 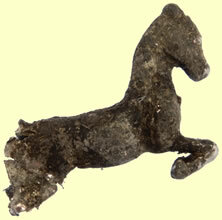 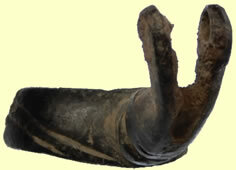 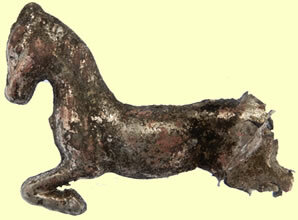 Interesting gilded hollow copper horse filled with lead ?? 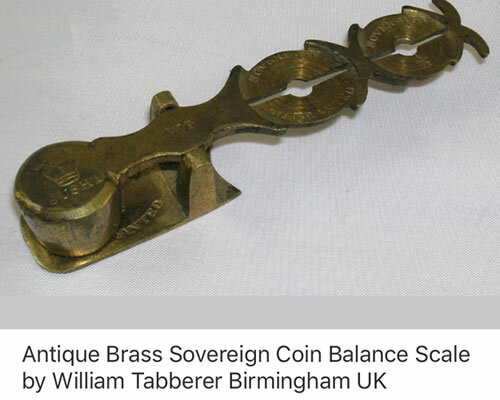 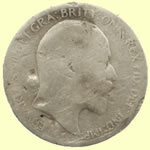 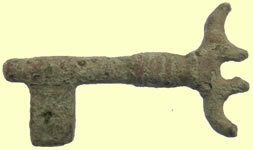 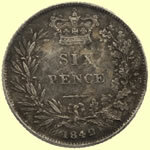 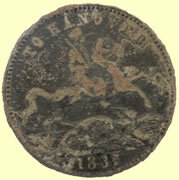 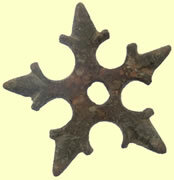 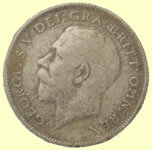 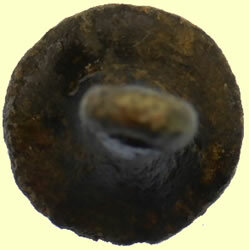 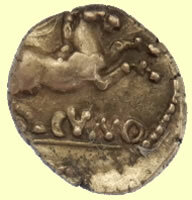 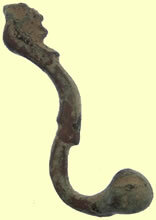 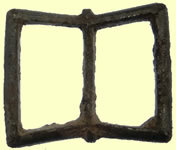 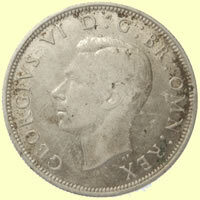 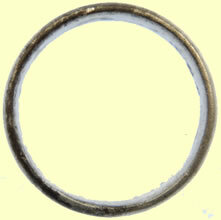 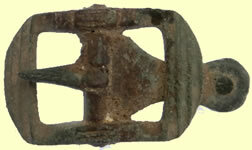 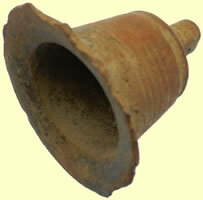 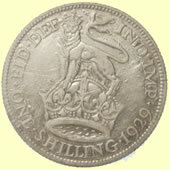 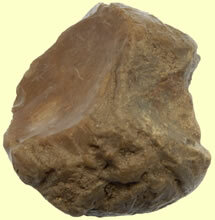 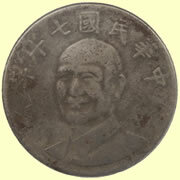 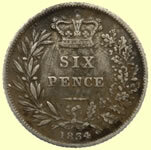 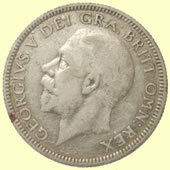 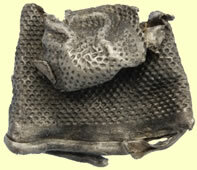 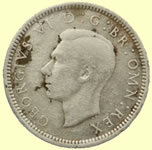 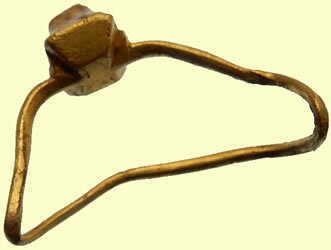 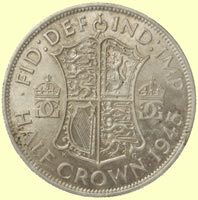 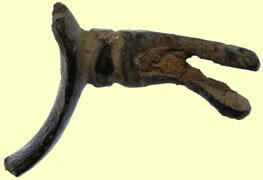 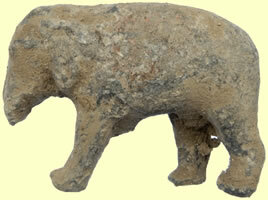 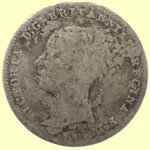 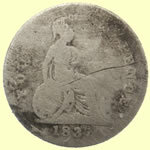 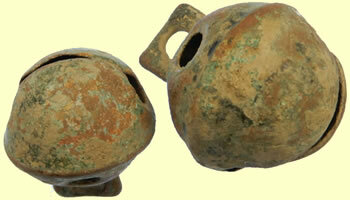 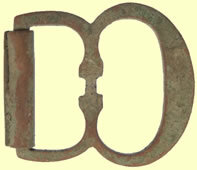 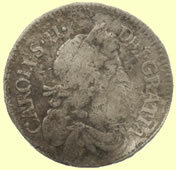 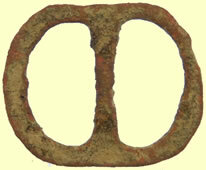 These are a common find in boxes of household junk, old drawers, and accumulations and collections of coins. 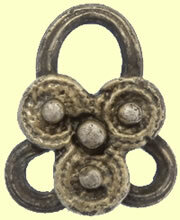 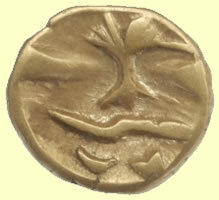 They are made of brass, probably as a satyrical gaming token. 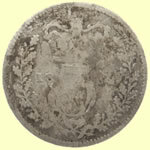 When Queen Victoria acceded to the British throne, she could not assume the Hanoverian throne, as this was restricted to male succession only. Her relative the Duke of Cumberland therefore succeeded in her place. 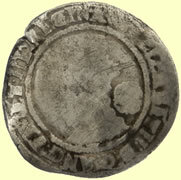 Apparently he was quite unpopular, and this jeton was issued as a humorous comment on his departure from the British Isles. 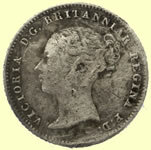 Crude young head portrait of Queen Victoria, facing left, with her hair in her familiar "bun". 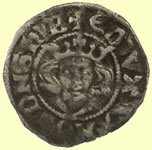 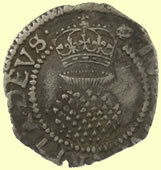 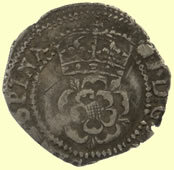 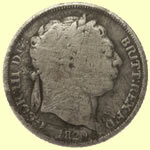 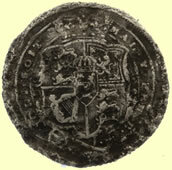 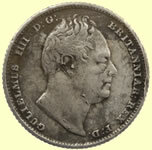 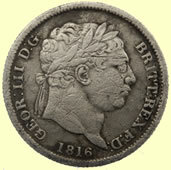 This portrait is very similar to that which appears on the young head sovereigns of Victoria, with the legend (inscription).